It's a good time to be in the market for an LG Optimus G Pro from AT&T. 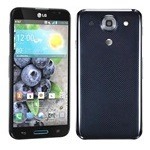 Last week, the network dropped the off-contract price of the powerful handset down from $549.99 to $439.99. Now Amazon has bested that price by over $20. 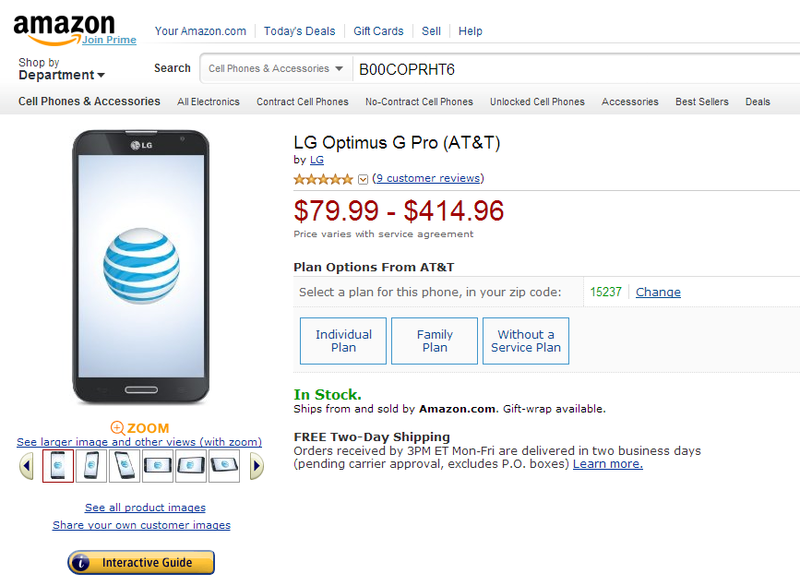 For just $414.96, this handset can be yours to use free of the confines of a two-year contract. I may not be in the majority with this opinion, but I find it's the only way to live. This device comes with 32GB of storage, a 1.7GHz quad-core Snapdragon 600 processor, and 2GB of RAM. The 1080p display is a pretty beefy 5.5 inches in size. This is an AT&T-branded 4G LTE-capable device, so you will have full access to their rapidly expanding network. The representatives at the store may not fill you in on this, but it's a really good deal. If you're looking to drop $400 on a phone, they don't come much better than this.